The WAR "win the shirt off my back" promotion is now officially over. 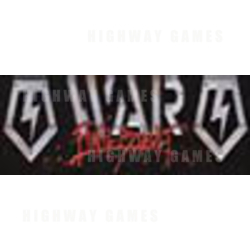 This game feature offered all players who achieved "War Master" rank a special War T-Shirt. 1. Go into the self test screen. 2. Proceed to game options menu. 3. Scroll to the hide t-shirt option and select yes. If there are any problems, please contact Midway Service at 847-785-3164.